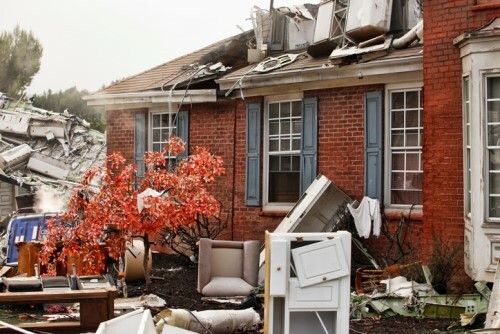 The element of water quickly becomes a threat when a hurricane strikes as floods, storm surges, and rain pummel properties, but as the Insurance Institute for Business & Home Safety (IBHS) reported in its investigation of homes following Hurricane Harvey, the peril of wind can also inflict serious damage on structures. Based on an assessment that focused on buildings located in the area where the hurricane initially made landfall in Rockport, Texas, IBHS found that certain kinds of doors and 23% of attached structures experienced damage during the hurricane, though those weren’t the most affected components of the buildings. The costs of fixing a roof depend on the size of the building and several other factors, but repairs can range between $7,000 and $15,000, and go up higher if you’re getting into structural damage where wind has pulled off parts of the property’s wood framing – not an insignificant cost for a property owner to take on if they’re not insured properly. Upgrading conventional construction methods and making a property even stronger by providing what Brown-Giammanco referred to as a continuous load path can help protect it from wind damage in future events. Property insurers and agents can use the data collected by IBHS to determine the vulnerabilities of certain structures when offering coverage. Insurance professionals should note the building terrain since elevated buildings surrounded by open water and land that are then highly exposed to wind had higher damage frequencies. Structures with asphalt shingles continue to be problematic as half of all shingle roofs investigated by IBHS experienced some level of roof cover damage. Unprotected doors, sliding doors, and single-car garage doors were also more prone to damage. An important takeaway from the report is that the highest wind speeds didn’t always correlate with the highest damage frequencies. The age of the building, its construction type, and exposure likewise contributed to the level of damage experienced and, at times, outweighed the wind speed effects, according to IBHS, demonstrating the importance of recognizing the vulnerabilities of a structure to better determine the risk it faces from wind during a hurricane. People who did experience damage to their homes are showing interest in learning how to better mitigate against hurricanes going forward, making the post-hurricane period a good time to raise awareness.